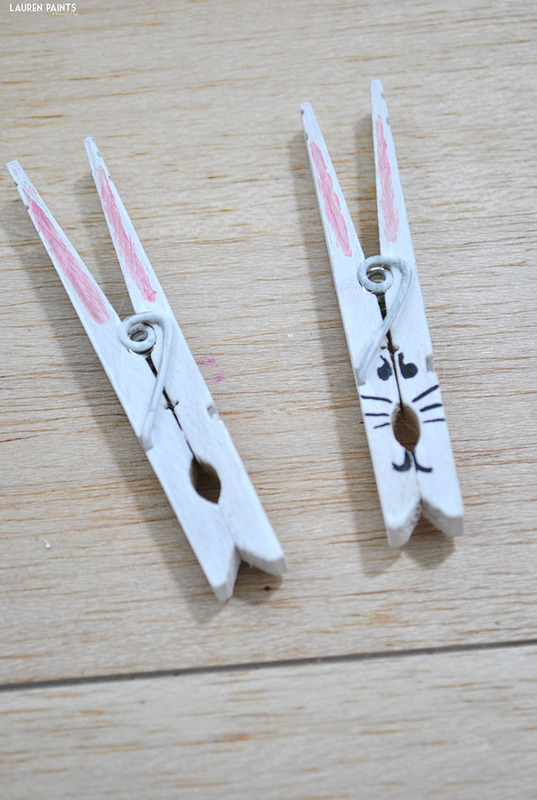 So it's Saturday night and I'm officially painting little bunnies on clothespins. 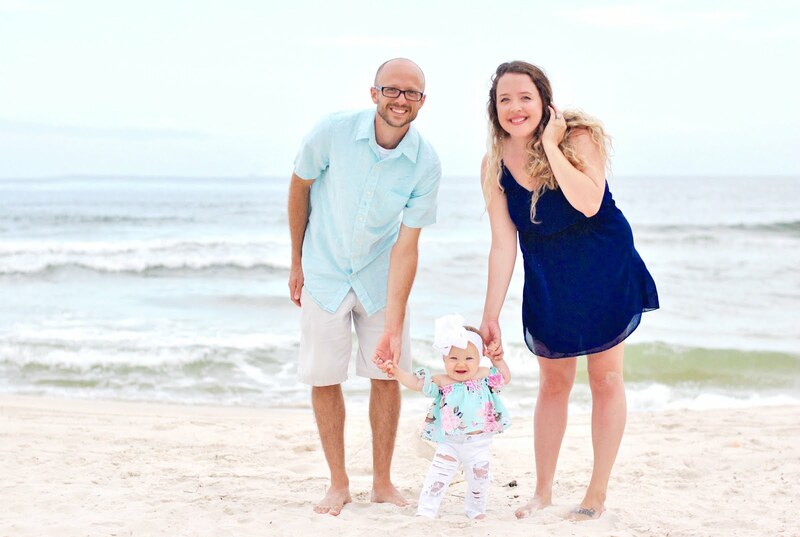 While that may sound silly, these little cuties are just too cute not to share! 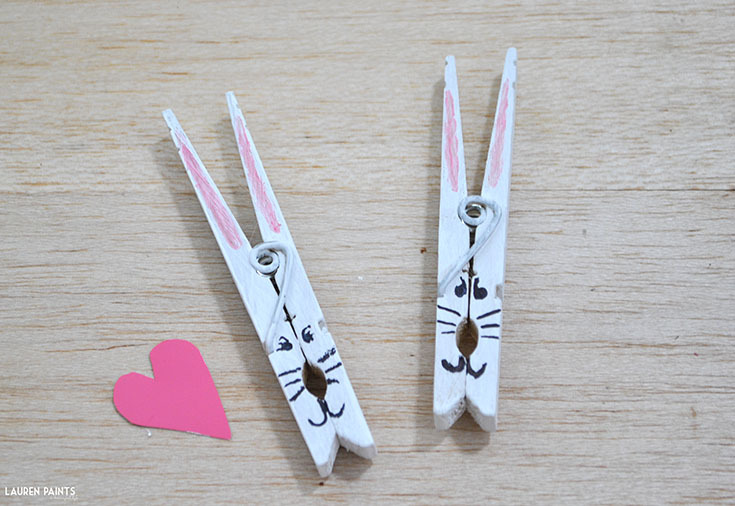 This super easy craft project is perfect to help celebrate Easter or just spring time in general! You probably already have everything you'll need to make these little cuties in your house already and since these are so easy to make, get the little ones and have them help you out! 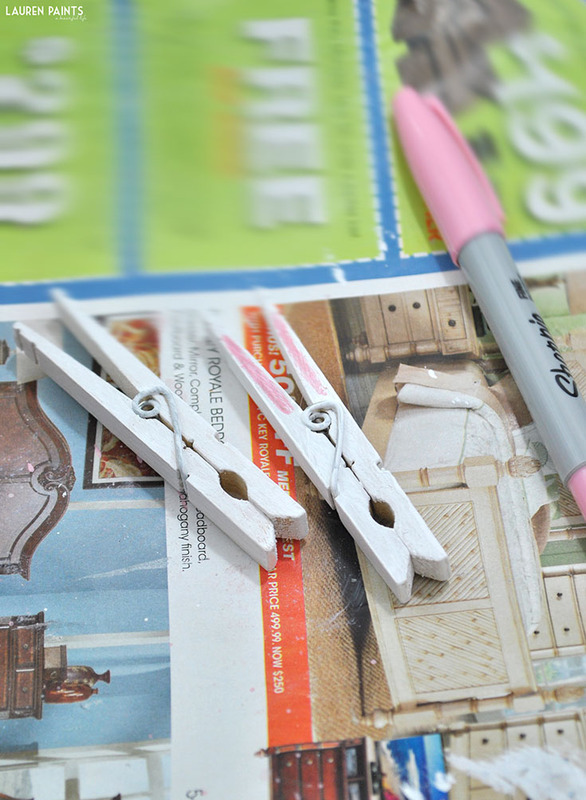 You'll just need to grab clothespins, white paint, a black marker, a pink marker, and some coffee to help fuel your creativity (obviously optional, but totally necessary for me). 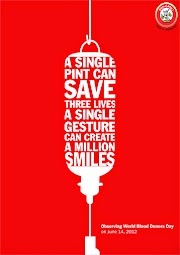 That's all! 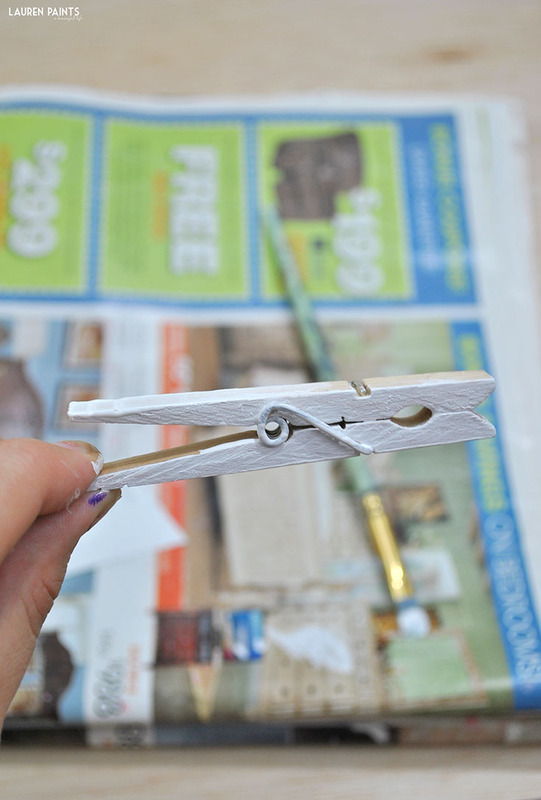 You'll begin this simple project by painting your clothespin white. 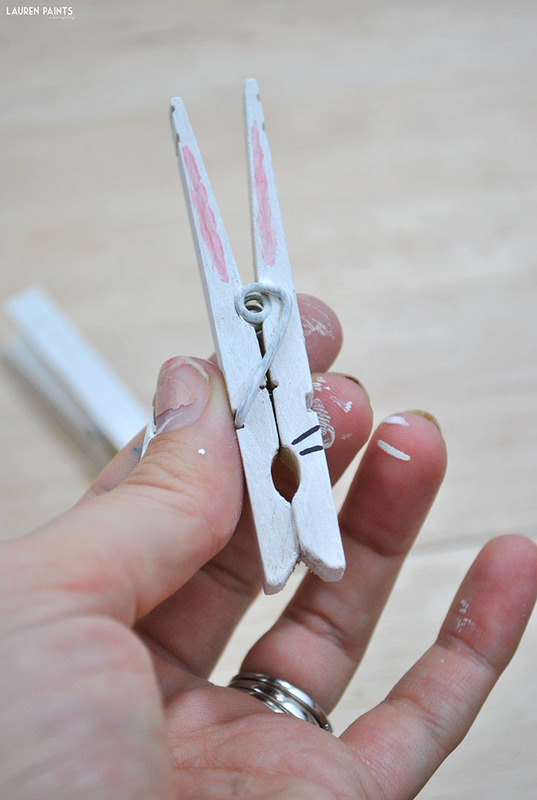 After the paint has dried, draw on a tiny pink line on each "ear" (the pinch-able part of the clothespin). Now you'll add the whiskers on with the black marker, with no exactness. You want them to look wispy! The final step is drawing a little 6 for each eye ball, one the correct the direction and another horizontally flipped. That's all! 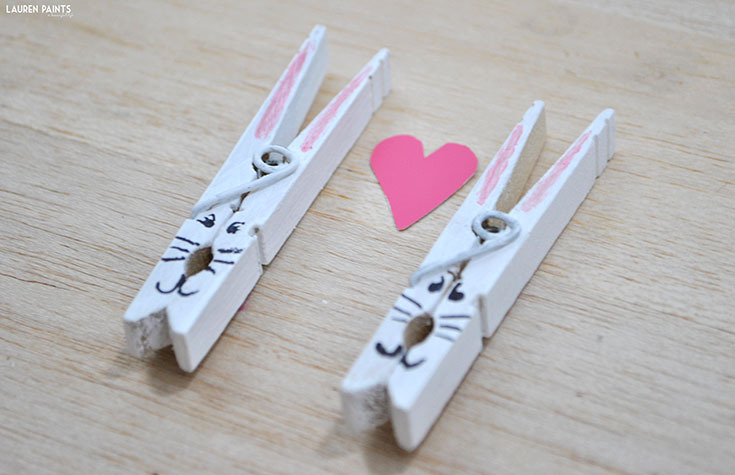 Now you have these cute little bunnies to use as you please! I think I'll clip mine onto a bag of delicious treats for a few friends. 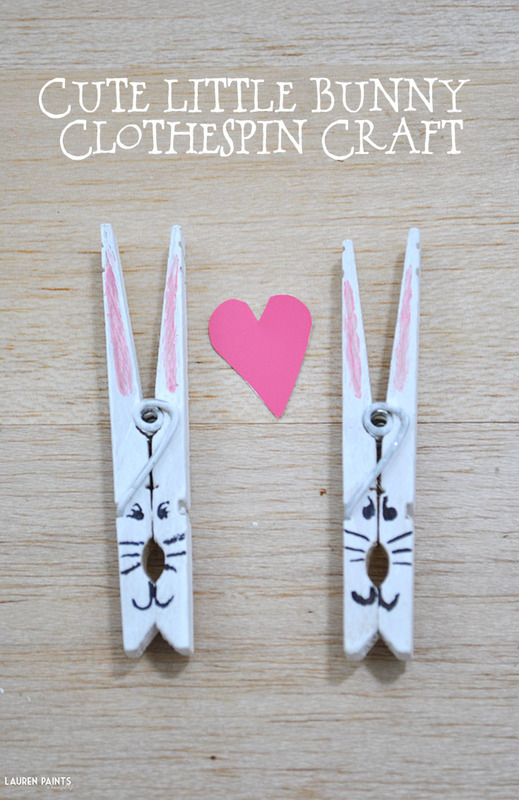 How will you use your cute little bunny clothespins?